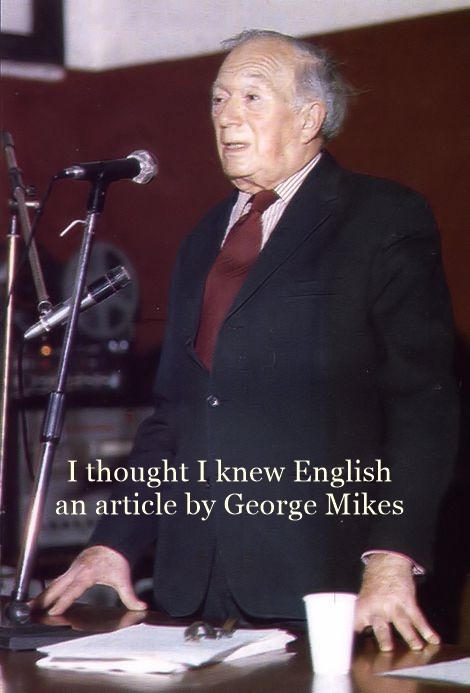 George Mikes and The English Language. When I came to England I thought I knew English fairly well. In Budapest my English proved quite sufficient. On arrival in this country I found that Budapest English was quite different from London English. I should not like to seem biased, but I found Budapest English much better in many ways. In England I found two difficulties. First: I did not understand people, and secondly: they did not understand me. In the first week I picked up a tolerable working knowledge of the language and the next seven years completely convinced me that I would never know it really well, let alone perfectly. Take the 500 basic words that you are supposed to know if you want to survive in Britain. Well, they are far from being the whole vocabulary of the language, as you might expect, but unfortunately you may learn another 500, and another 5000, and yet another 50000 and still you may come across a further 50000 you have never heard of before, and nobody else either. If you live here long enough you will find out to your great surprise that the adjective nice is not the only adjective that the language possesses, in spite of the fact that in the first three years you do not need to learn or use any other adjectives. You can say that the weather is nice, a restaurant is nice, Mr Soandso is nice, Mrs Soandso’s clothes are nice, you had a nice time, and all this will be very nice. Then you have to decide on your accent. The easiest way to give the impression of having a good accent or no foreign accent at all is to hold an unlit pipe in your mouth, to mutter between your teeth and finish all your sentences with the question: “isn’t it?” : People will not understand much, but they are used to it and they will get the most excellent impression. Finally, do not forget that it is much easier to write in English than to speak in English because you can write without a foreign accent. Many foreigners who have learnt Latin and Greek in school soon discover with great satisfaction that the English language has absorbed an enormous amount of ancient Latin and Greek expressions, and they realize that a) it is much easier to learn these expressions than the equivalent English words; b) that these words are usually interminably long and make a simply superb impression when talking to the greengrocer or the milkman because they will be very proud of having such a highly cultured person as a customer. The first step in my progress was when people started understanding me while I still could not understand them. This was the most talkative period of my life. Trying to hide my limits, I went on talking, keeping the conversation as unilateral as possible. The next stage was when I began to understand foreigners but not the English or the Americans. The more atrocious a foreign accent someone had, the clearer he sounded to me. 1) Have you ever experienced any situations similar to those George Mikes describes? 2) What are the advantages of being able to speak English? 3) In what situations do you think you will or might use English? 4) Which of the following do you think would improve your knowledge of English: going to see undubbed films; reading books and magazines in English regularly; having an English or American pen-friend; speaking to people from other countries when you are on holiday. 6) Do you think that you can reach a working knowledge of English without ever going for a stay in Britain? 7) Does it come naturally to you to speak in another language or is it a great effort? 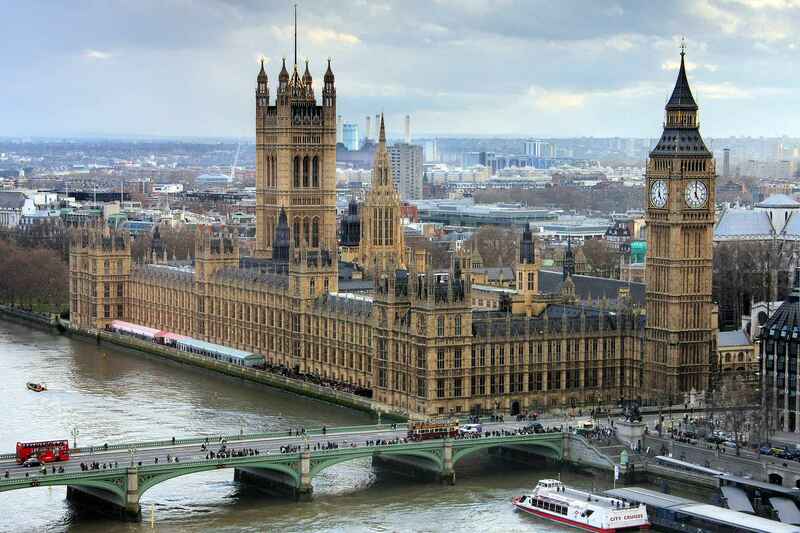 8) If you went to Britain, do you think you would be able to cope with ordinary situations (e.g. 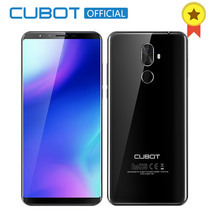 ordering food in a restaurant, asking for information in the street)? 9) What do you think your main problem would be: making yourself understood or understanding what you are being told? 10) What would you like to change in the system you are using to study English (e.g. fewer or more translations, more colloquial English, more systematic study of grammar)?